Summary: Selecting a dog collar can be a very fun activity. Generally, dogs are not wearing any other type of item except for a dog collar. Care should be taken when selecting the collar that it fits the style of both the owner and the dog (or puppy). When shopping for your dog’s collar, why not get several that you think would be great choices for your pet? Read on to learn more about how to select a dog collar. There are a wide variety of puppy collars and dog collars on the market today. Choices range from less expensive, fabric puppy collars to elaborately fashioned, designer dog collars. Some owners of long-haired dogs prefer leather because it appears to cause less matting in the dogs hair. A recent training offering from Amazon includes a collar that emits a citrus mist whenever your dog barks. This is supposed to replace the shock collars typically used for bark deterrents. Shopping for your dog’s collar though has never been easier. 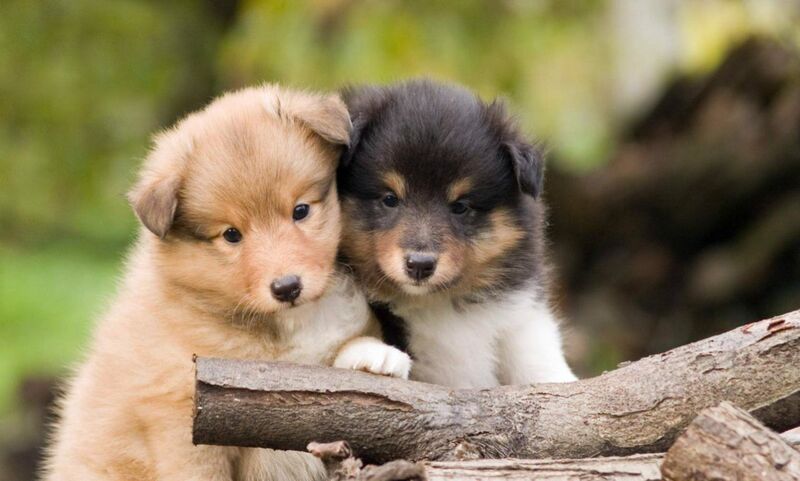 The options are numerous from several of the premier pet stores online. Collars are an easy online purchase since they are so small and inexpensive to ship. Make sure though that there is some sort of solid clip or fitting to attach a dog identification tag (even if you are going to have your dog micro-chipped). The collar pictured to the right is the Park Avenue Rhinestone Leather Dog Collar by Kakadu Pet is available at Amazon.com. Whatever your personal choice of puppy collar or dog collar is and your personal pocket book can afford will probably be just right for you and your pet. But remember, it’s easy and fun to have several options to interchange your dog’s collar depending on the season or activity. It is imperative that you check the puppy collar or dog collar frequently by putting two fingers between the puppy’s neck and the dog collar to be certain your dog has not outgrown the collar. 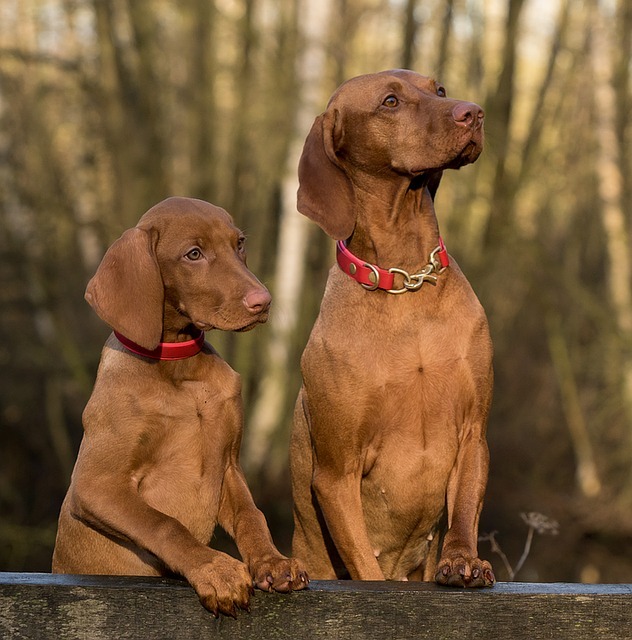 Young dogs grow very fast and you must pay attention to the fit of the collar so that the dog is not harmed from a forgetful owner’s attentiveness to detail. There are many types of training collars depending on what training that you are doing. The most common training collars are the metal link ones with round metal rings at both ends. These training collars must be placed on the puppy properly to insure safety of the puppy.Training collars should only be used during the period you are actually training and under the instruction of an experienced dog trainer. Never leave a training collar on an unattended dog. I’d like to know what the difference is between a leather collar and a faux leather collar? My dog loves to swim in our pond and I’m afraid that a leather collar could become to snug around his neck as the leather shrinks. Anyone have any ideas? There are a lot of collars that look stylish that are waterproof. Then you don’t have to worry about the collar shrinking, or absorbing the odors from the lake. Here is one particular site that I think has a good product to offer. I use a leather collar on my dog. There are many things to look out for when buying a dog collar, one of them is to choose one that fits well and snugly on your dog’s neck, but also has enough room so as not to choke the dog. Take note that genuine leather has a tendency to shrink slightly whenever it dried up after getting wet. Consider that factor before you buy one because if the collar is too tight to begin with, this could cause some issue to your dog if he is caught in the rain or goes out swimming. I have never had a problem with her collar shrinking too much. I think you would be okay with your leather collar. I love a pretty collar as much as the next person, but I think there are some very important issues to think about first. My puppy families are only requested to use ‘break away’ type collars. These are typically nylon of differing designs, but instead of a buckle have a plastic clip that fits with a snap and tightly together. The advantage to this type of collar is that if it gets accidentally caught in a fence on wood; whatever whacky situation Fido can sometimes get in – it will break away. Buckle collars do not offer this feature and there is some potential of strangulation if Fido gets in trouble and no one finds him in time. The primary function of a collar is to hold a tag and this important issue should never be forgotten. We have duplicate tags often ready to place on a collar if their tags get lost. This is sometimes the only means someone has to find you if Fido gets lost. Even if your animal is micro-chipped, a good identification tag should always be used. The proper fit of a collar should be checked regularly as well as the condition of the breaking snap, and the leash/tag ring. ‘Choke’ variety collars do have their place in difficult situations, but should never, ever be left on or put on backwards. The must be in the capital letter P formation slipped over your dog’s head as your dog is on your left hand side. Only in this formation will the collar tighten when the dog pulls and slip loose when the pulling is over. This is the only safe way and the only way the dog will get the ‘no pulling’ effect of this type of collar.